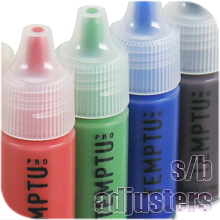 A few weeks ago, I had ordered a mini starter airbrush makeup set from temptu.com. I ran into a dilemna with my airbrush gear and had to order a new airbrush and a new hose, there were some parts missing and finally after trips to micheals and home depot and the help of my husband, I was able to get what I needed to get the ball rolling. I only tried one color last night, which was the yellow pigment. I sprayed it on my arm and cheek to test how it felt on my skin and I even tested it on my husbands chest and sprayed a fake six-pack lol I was laughing so hard. I wish I couldve gotten a pic of it, ( I am getting really bad at that). So, here is my review on the Temptu: It does not rub off at all when it is applied to the skin. No sticky residue, it does have a slight odor to it, but nothing youre gonna gag on and wanna visit the toilet to see your lunch again LOL! It does come off easily, I just ran water over it and it was gone! I do not know how well it blends together with other colors, but I will be testing that tomorrow. Tomorrow evening, I will be on set with a photogrpaher to shoot my galaxy "Runway" theme! I am so excited to finally get this going! 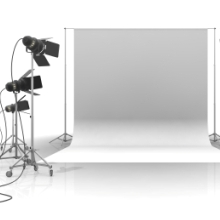 I may have an assistant there to help film a before and during shot, or activity so I can "bring" yall with me! Blaze with the fire that is never extinguished. May you find inspiration in your everyday life!